The Marketing Compass offers website development services. We have helped thousands of enterprises to get better results from their websites. All of the sites we build are easy to update and change. This means that you can implement the customer attraction ideas that we discuss within The Marketing Compass community. Your website is central to your business. It should be a sales and marketing machine. We would be delighted to talk to you about your business, your customers and your objectives. Should you choose to work with us, we will build your customer attraction website, based on proven marketing principles. We will take you through a structured marketing process to attract more customers, using a combination of proven website development techniques, based on 10 years of helping businesses to improve their internet marketing results. Our services include strategic marketing advice from Nigel Temple, Founder of The Marketing Compass; designing and building new sites; SEO (Search Engine Optimisation); web copywriting; content marketing; and training. If you have a clear marketing strategy, your website will work better for you. 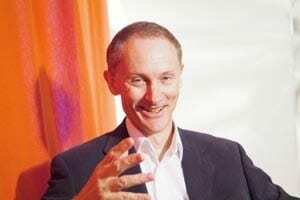 Nigel can help you to clarify your marketing thinking, with a concise plan. This will help you to stand out from the crowd, get Google’s attention and generate better results. We can help to improve an exisiting website or build a second website for you. Associated training services include copywriting, MailChimp email marketing and social media. Interested? Email joanna@marketingcompass.co.uk or call 01628 773128 or use the form below. We look forward to hearing from you. i.e. 5, 10, 15, approx 20 etc. Are there any additional features/functionality that you would like? This will help us in our design quote process. Do you have a timescale you would like the website ready by? 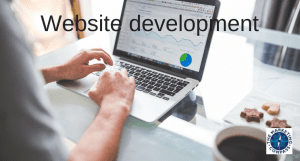 Website development in Bedfordshire, Berkshire, Buckinghamshire, Essex, Hampshire, Hertfordshire, Kent, London, Oxfordshire, Surrey, Sussex, Wiltshire, or anywhere in the UK or internationally including Basingstoke, Birmingham, Bracknell, Bristol, Guildford, Hemel Hempstead, Henley-on-Thames, High Wycombe, London, Maidenhead, Marlow, Newbury, Oxford, Reading, Salisbury, Slough, Southampton, Swindon, Uxbridge, Watford, Windsor, Woking.